I have really gotten back into reading over the past couple of months and I managed to get through five books during February and March, which is quite an achievement for me. I actually loved all of these books and often read into the small hours as they were complete page-turners! Here’s a little of what I thought of each one. This book had me hooked from the start. I will admit, I did guess some of the plot in advance, but there were still lots of twists and turns and the ending had me totally engrossed. The concept is fairly uncomfortable, and at times I wasn’t so much enjoying the story but hoping things turned out ok for the main character. I had read another book by Louise Jensen previously and loved it so I was looking forward to reading this story surrounding a couple who can’t have children together and end up resorting to surrogacy. The book definitely kept me guessing and there was enough intrigue to keep me turning pages right up to the end, although I wasn’t sure how I felt about the actual ending, which felt a little rushed and anticlimactic compared to the rest of the book. 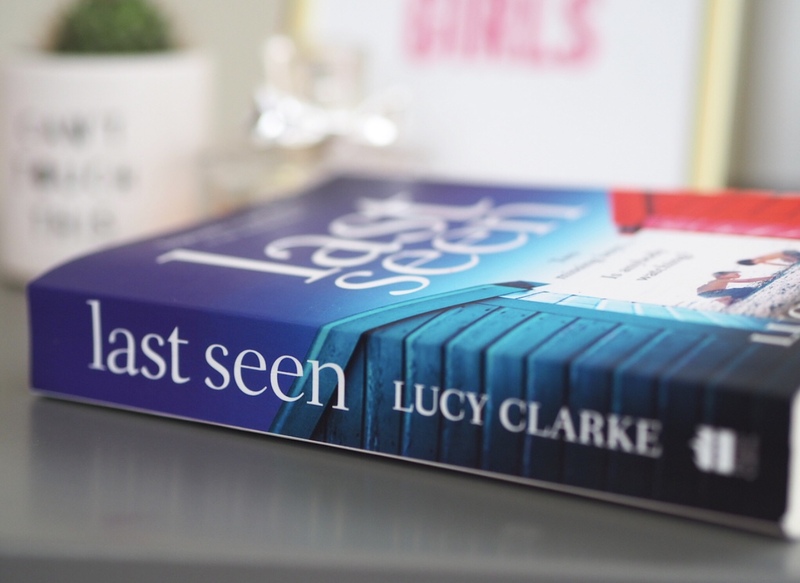 This book was the first of Lucy Clarke’s that I’ve read and I am now so hooked by her writing style that I will be buying the rest as soon as possible. I think one of the things I enjoyed most about this story was that it is reportedly set nearby to where I live and I could picture the setting perfectly. The storyline is intense, with a couple of excellent twists and lots of nail biting moments. If I had to sum up the book in one word it would have to be tense. I felt more than a little on edge reading this one, but I found myself unable to put it down. This one was a little different to my usual style, as you can probably tell by this post, but I couldn’t not read it after seeing everybody else saying how amazing it was. I must admit, I wasn’t sure what I would make of it when I realised it was based on a junior doctor’s real life experiences – I couldn’t really see myself getting into it. How wrong I was. This book is just as incredible as everyone says it is. Adam uses just the right mix of humour and sincerity in his recounting of his time as a doctor, working his way up the ranks, to have you totally invested and humbled by the end. I won’t ruin it by saying what happens, but seriously, I felt close to tears and very thankful for our NHS staff by the time I finished this book. A must read. Ok, this is most probably my favourite book of 2019. As I mentioned, I hadn’t read any of Lucy’s books before Last Seen, and I bought this after looking her up on Amazon. This story had me hooked. It is a bit of a rollercoaster, truth be told, and I didn’t see the curveballs coming at all. I read this in record time, and ended up staying awake until the early hours reading the end as I just couldn’t leave it. I can’t wait to read more of Lucy’s books. What books would you recommend I read next?